Extremely Motivated Seller. Drastically Reduced for your Summertime Enjoyment and/or rent it out. Luxurious End Unit features oversized wrap around balcony with entrances from Living area and master suite. Island Decor to enhance the Beach setting. This unit offers 2 very large bedrooms and 1 full sized bath. Master suite offers 2 closets, Jacuzzi tub, separate shower and double vanity and stunning ceilings. Full sized laundry appliances (separate room as well as ac/heating unit in sep. room) Open concept kitchen with stainless appliances and additional seating at the countertop island bar. Dining area/Living area fully open to 2 sets of sliders and fireplace for use year round. Gorgeous wall mural to add to the island/beach theme. Ceiling fans throughout in all bedrooms and living area. Enjoy fabulous Sunsets from your balcony. 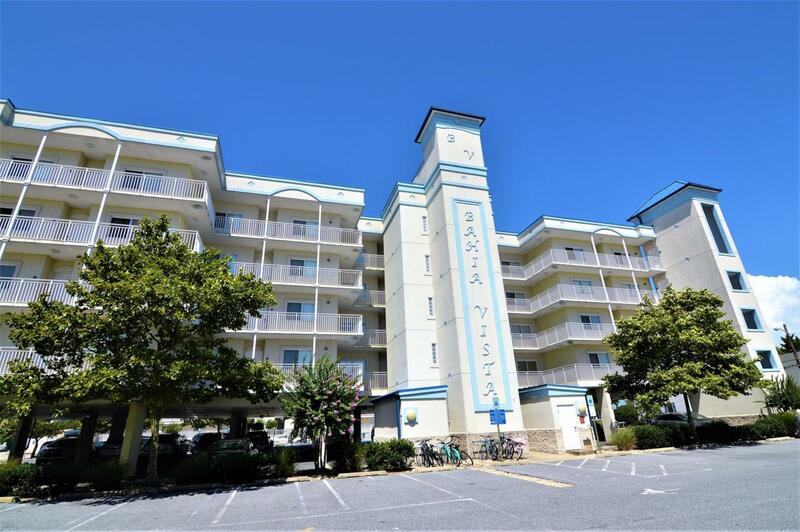 Within walking distance to the beach, the boardwalk, the bay, stores, restaurants and the White Marlin tournament is held only 2 blocks up and very convenient. Condo offers private storage area for your beach chairs, bikes, etc. Located on same floor near the elevator. In ground pool and assigned parking with extra parking for your guests. Sellers offering a One (1) year home warranty. Unit has never been rented.